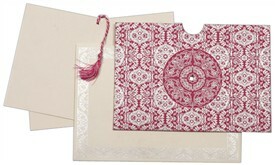 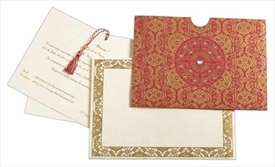 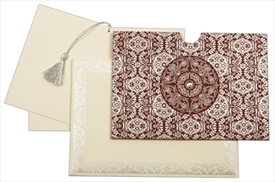 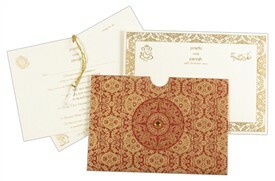 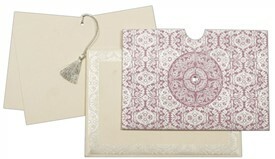 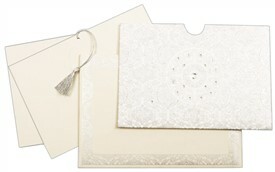 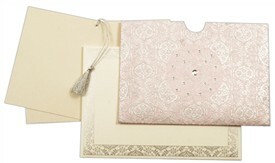 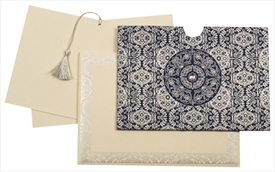 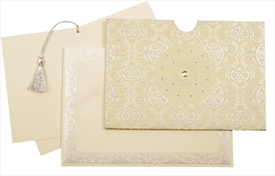 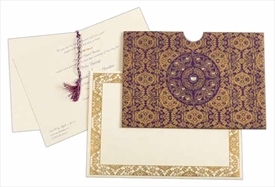 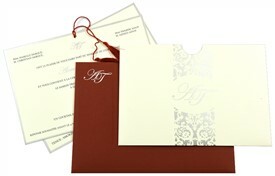 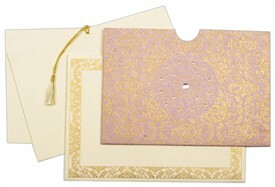 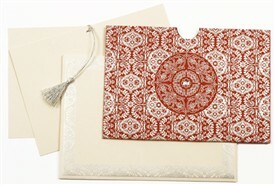 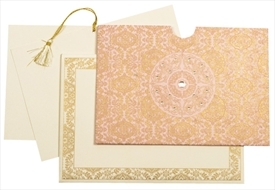 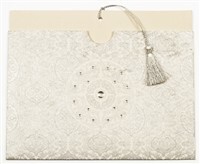 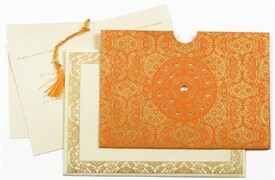 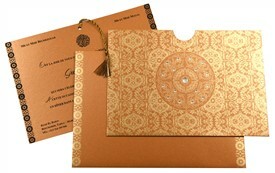 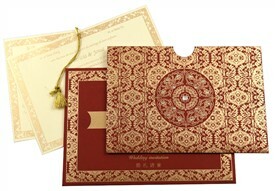 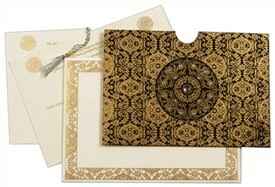 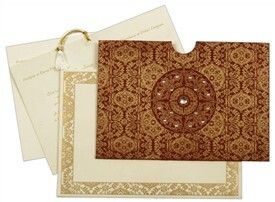 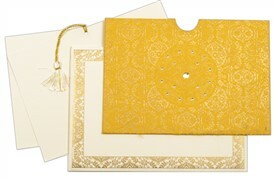 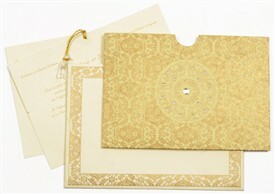 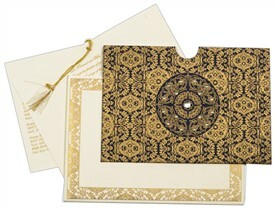 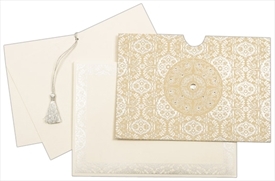 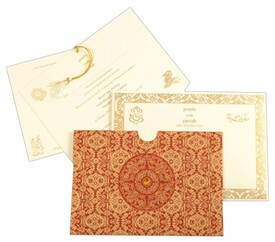 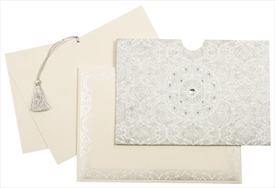 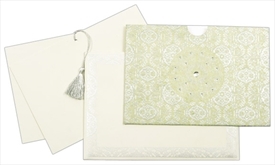 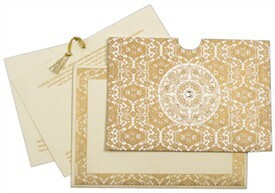 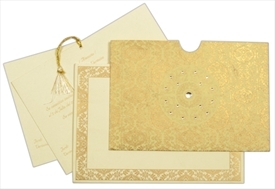 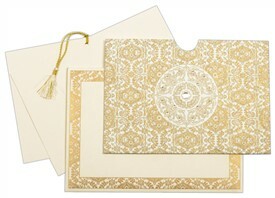 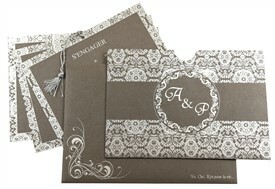 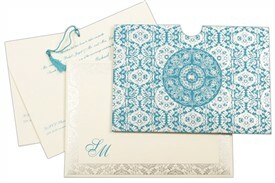 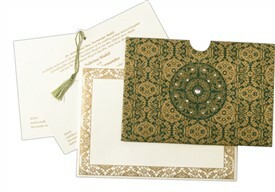 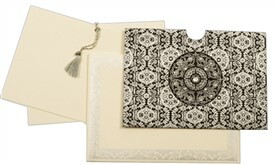 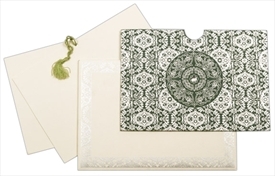 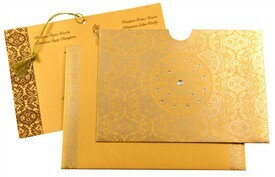 D-3762, Cream Color, Designer Multifaith Invitations. 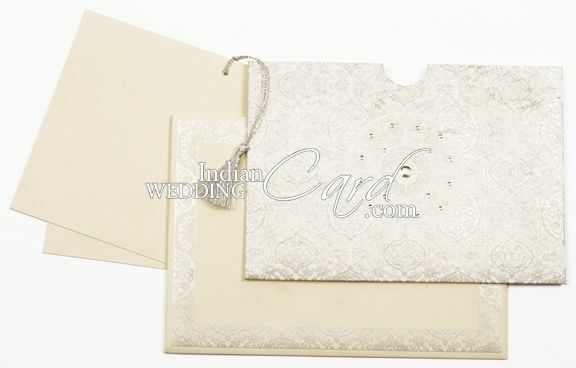 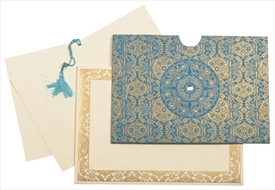 Off-White color silk handmade paper (200gsm) for pocket style card. 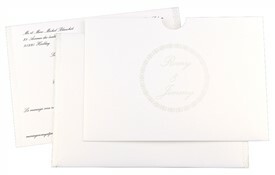 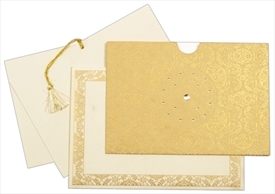 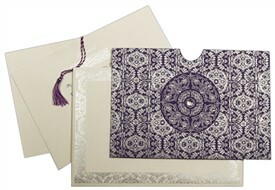 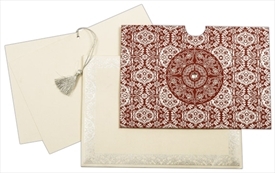 2 inserts and mailing envelope in cream paper (230gsm).